When you hear the term "stomach flu," you probably know what that means — a lot of time in the bathroom feeling pretty miserable. But there can be more to stomach flu symptoms than just vomiting and diarrhea. There are also many different things that cause the stomach flu. However, none of them is influenza. Although many people refer to this illness as "the flu", it is not related to the flu at all. Depending on what is causing your illness, you could experience other symptoms as well. It's important to know when you should see a doctor for vomiting and diarrhea. If you see blood or something that looks like black tar, contact your healthcare provider right away. Many viruses and bacteria can lead to symptoms of the stomach flu. Most often, it is caused by a virus, such as norovirus or rotavirus. It's important to note that although the influenza virus can sometimes cause gastrointestinal symptoms, a "stomach flu" isn't referring to an influenza infection. Influenza — or the flu — is a respiratory illness. Typically, the stomach flu is a "self-limiting" illness, which means it will go away on its own after a few days. In some cases, bacterial infections may hang on longer and need to be treated with antibiotics. However, even this is uncommon. Bacterial causes of stomach flu such as salmonella and e. Coli often go away on their own as well. If you find yourself dealing with symptoms of the stomach flu, make sure you stay hydrated but don't try to drink too much too quickly. 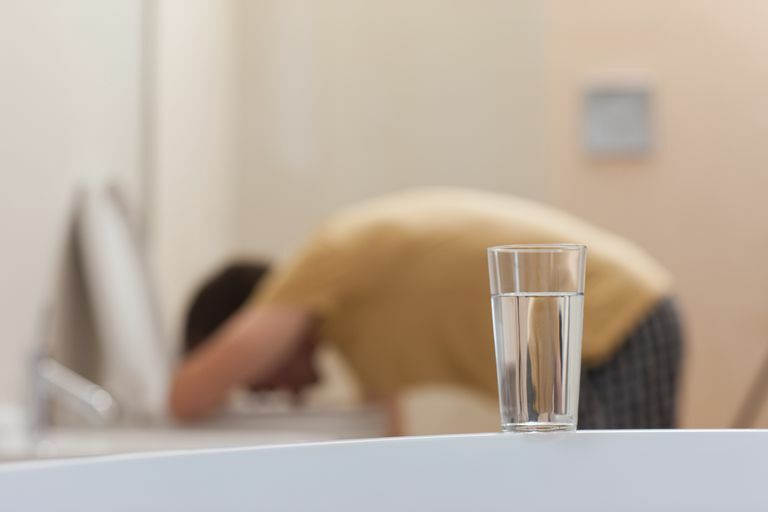 Overdoing it with fluids can cause more vomiting and create a vicious cycle. If you are just experiencing diarrhea, make sure you eat bland foods that won't cause too much stomach discomfort. There is a debate about whether the BRAT diet is really helpful, but it certainly can't hurt, as long as you limit your intake of these foods to just while you are feeling ill. The concern is that people continue to eat this way after they have recovered, which results in a limited intake of proper nutrients that your body needs. Be sure to avoid foods that are spicy, fatty or greasy while you have the stomach flu and don't drink alcohol or caffeine. Electrolyte drinks such as Gatorade or Pedialyte are the best way to rehydrate but regular water works too. Stomach viruses are highly contagious, so washing your hands and cleaning is essential. It is really hard to avoid passing it among family members living in the same house, but cleaning as much as possible will minimize the chances. "Viral Gastroenteritis." PubMed Health 12 Apr 10. US Library of Medicine. National Institutes of Health. 25 Feb 11.